2 On crate is red caption DANGER! I was thinking about it, and It all make sense if this "sand" was in original concept "powder"
Yes. There is pirate ship and probably guns were planned. This is unfinished game. In Tatalia we dont meet lizards. Its is lizard country. Dagger Wound Isle is Tatalia finished and there are some guns and pirats. Its basic Tatalia concept. That would explain a lot actually. I always wondered why the dragonflies were in AvLee rather than Tatalia. There is a lot of things. Bracada is not snow country like in Heroes III. Castle Lambert IS NOT in clouds but on SNOW hills. Castle in clouds is probably walls of mist animation. Castle on hills was planned in snows Bracada as in map added to game city named Spyre. I think it is quest for modders. Rebuild MMVII to propper look. Baronus wrote: There is a lot of things. There is A LOT OF proofs. We have warlock stables in animation? Nighon is a ISLE! Water horses? In sounds we have DVARWEN SHIP?! From stone city? Green died country? With orcs civilians? Harpies? And died faces in houses? Pit with behemots? They wants completly the same factions like Heroes III, models of units are acuratly the same. And names of countries. And we have Tatalia and died country from Heroes III in MMVIII. Coincidence? No! resources from MMVII. I see they had no time. Time is money. And they cuted game. CGM: What were the worst decisions 3DO made concerning New World or your franchise? JVC: Well, there were a few. I believed that MM(Might & Magic) RPG's and Heroes games could have gone on for a very long time if we had created something new and innovative every 2 to 3 years. But the need for "sales growth", mandated by 3DO required us to make a new MM RPG and a new Heroes product every year - some in 10 months or less! Jeff Green interview "Computer Gaming World" Feb 2004y. And you see effects in MMVII and Heroes IV. Last edited by Baronus on Mar 31 2016, 20:18, edited 2 times in total. While the trade routes were pretty simple, they never had a viable return on investment until MM8 where you could drag hundreds of tobersk pulp or forged credit vouchers at once. Baronus wrote: Yes. There is pirate ship and probably guns were planned. This is unfinished game. In Tatalia we dont meet lizards. Its is lizard country. Dagger Wound Isle is Tatalia finished and there are some guns and pirats. Its basic Tatalia concept. It is not an unfinished game. True, not all features, which you can find in game files, were done, but this doesn't mean, that game itself is unfinished. Tatalia in MM7 is not a Lizard Country. It's a "Human Kingdom" - a region of Erathia between Krewlod and Tatalia Lowlands, (re)captured by Catherine Ironfist in HoMM3. 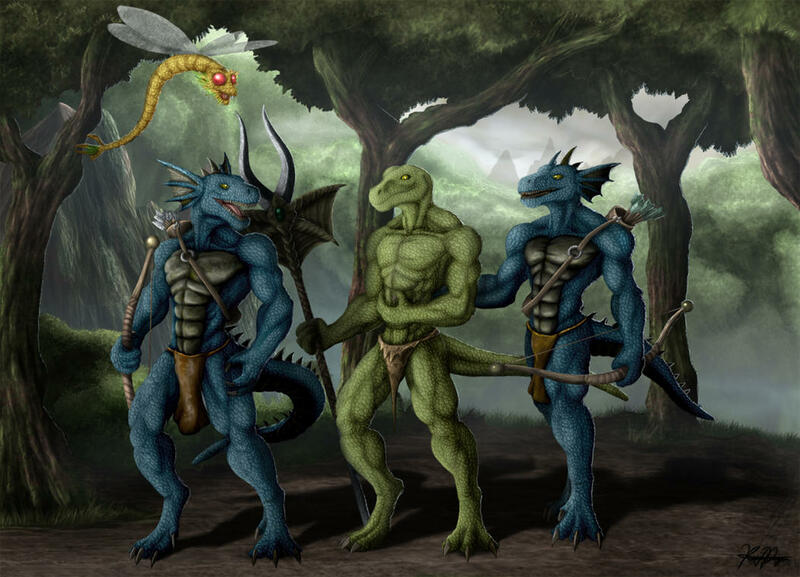 Also Lizards are not only citizents of Tatalia, as you can see in Adrianne's campaign in Armagaddon's Blade. Kingdom of Bracada is not only snowy mountains in Baracada Highlands but also large Bracada Desert. Also: "Celeste is the magical city built by the Wizards of Bracada centuries ago, and anchored half in the mountains, and half in mist high above Bracada". Spyre is a village in Bracada Desert, read Notes book. I see lot of towers on desert map and Celeste doesn't look like a barbarian town at all. It's shame we didn't get Krewlod but on the other hand, I can't remember any mention about it in MM7 game files. Not at all. Besides native terrian for Krewlod is rough terrian (rocks and dirt) and steppes, not desert. First, Deyja is kingdom of dead, not died/diet. Second, you have explanation, why Goblins are citizents of Deyja too... Not all Goblin tribes live only with barbarians. Also, they supposed to be part of Forge town, which also originated from Deyja. Third, The Pit is not Inferno Town but Necromacers' capital city. Kreegans live in Eeofol, not in center of Antagarich. Baronus wrote: There is A LOT OF proofs. Yes, a large isle and with (under)terrian connection to main continent. In the end tables didn't make in final game - maybe because the problem that you explained? When you create something, you often create more things, that are put in final version - some are cut because they were nice idea back them, but not during final version... and sometimes you create more familiar things, so you have them just in case. Or from AvLee. In Heroes 3 Dwarves live amoung Elves in AvLee. Or just that was one of "just in case" thing. You have explanation why Behemoths are in Breeding Ground in game. Same with Goblins (not Orcs). As for Harpies, they don't leave only in one place, same as many more monsters. They leave on waters too (H2), with barbarians on steppes (H4) and so on. IIRC some rumors MM8 was supposed to be expansion pack for MM7, before 3DO changed their mind and wanted new MM game - 1 year after MM7 release. You can see that much of MM8 s reuse assets from MM7, not the other way. Elemetal Plains were suppose to be in MM7 XP. And no, they didn't forget. You can ask NPCs in Tidewater about this ship and what it is. Also Cleric class promotion questgiver has few words about it too. Baronus wrote: And you see effects in MMVII and Heroes IV. He was talked about Heroes 4 and MM9, not MM7. Nonsenses. Dont do it again. Thank you for this long and comprehensive answer. Maybe they used item another first intend? Now is hard conjecture how is first idea in this game. Yeap, Avonu is right. You can't take one game and try to apply it as-is to another. The world of Enroth is not that static; quite the opposite, it's fuzzy, and for one, MMs are a better source of information on that than HoMMs. The strategy games had to be solid in terms of gameplay first, and the story was just flavour added after the fact; whereas for RPGs, one can go a lot more into details, without having to worry about things like unit balance. He dont has right. He invent his own weird fantasion. But it is between me and him. He knows and I know. Dont enter beetwen us. Write what you think. Its obvious that MMVII is world of Heroes III. The same countries the same sprites. Disorder and chaos is good looking in MMVII for MM lover. No Krewlod no Tatalia no Necrocountry no Bracada no Kreegan country. Poor Nighon with ONE LOCATION!!! In Emerald Isle only ONE dungeon and only serpentfly as monster. In Harmondale only two dungeons. And only orcs. A lot of unused space in tables. Unused sprites. Evidently not finished. A LOT OF PROOFS! I dont intend lost time to making very long list of proofs because every can who knows MM can do it. JVC told us they cant finished games in 3DO. You know better than creator? You are wrong. You dont know Avonu like me. You dont know what was a discussion I told, not in english. I dont want tell about it. I told "Dont enter beetwen us". In HOMMII you dont have ,,Elves conutry", only sorceress city. You have druids, dwarves. MMVI lovers FOUND UNUSED DUNGEON! In Loretta Fleise country! MMVI is a bit unfinished! Maybe 5%. JVC: I believed that MM(Might & Magic) RPG's and Heroes games could have gone on for a very long time if we had created something new and innovative every 2 to 3 years. But the need for "sales growth", mandated by 3DO required us to make a new MM RPG and a new Heroes product every year - some in 10 months or less! It is true JVC text. If MMVII is finished what is a sense of his words? He want dig 2 years more in game which is finished in 10 months? It is only one sense of this words. They sell unfinished games. Selling unfinished games is now ordinary concern practice. See on game market. Everywhere unfinished bugged premieres! It is not new practice! I know you love this games. Me too but it doesnt mean closing eyes and pretending that all is OK. Disorder in MMVII irritate me. Illogical monster places and illogical countries. It is very sharpness look. Its your right and opinion. Erathia is Erathia. Erathia in Heroes III is the same continent as in MMVII. There is no two continents. We have no time. 10 months for game. 3 years 7 games !!! No one game in 10 months. ONE GAME IN 6 MONTHS! With addons 5 months maybe. There is no artistic creativity but labour camp. And conclusion. Differences between Erathia and ,,Erathia" is a result of short time for production. So games are not like in creators ideas but cutted from many elements which I told and confusion another elements.